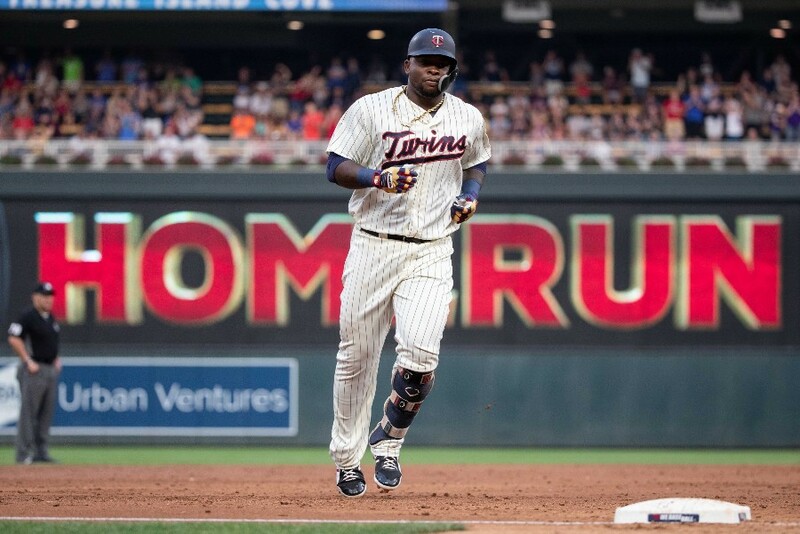 Eddie Rosario led the Twins with 24 home runs, followed by Max Kepler with 20 and Brian Dozier with 16, but neither of those three are represented among the players who slugged the five longest home runs for the Twins in 2018. Who made the list? Come check it out. *I used exit velocity as the tiebreaker between this and Cave’s bomb. It’s no surprise to see Sano and Austin top this list, but neither of them led the team in average home run distance this year. That title goes to Cave, whose 13 homers traveled an averaged distance of 419 feet. The runner-up was Mitch Garver, who averaged 408 feet on his seven home runs. Top Pitching Performances | Here’s a look back at the top five outings of the season as rated by Game Score 2.0. Do you get more runs for longer home runs?If not, who cares. C'mon Mike, have a 'lil fun. I remember watching the Cave and Austin home runs in particular. While HR totals were obviously down this year, I find the average distance measurements to be very interesting. Would tell me Cave's and Garver's power shouldn't be denied, speaks to potential for 2019. Man I miss Escobar and want him back! Can we just fast forward through the holidays, the hot stove league, and just get to February again? Neither reading, nor responding, are being forced upon you. It's perfectly OK to completely ignore a topic if it doesn't interest you, rather than attempting to drag everyone else down that it does. It borders on trolling, which is frowned upon. Not trolling I read the entire article like I do all the articles and as usual I enjoy reading them.Sometimes I enjoy seeing what reactions a comment gets.I am interested in how many homeruns and in what situations they are hit, but you are right, the distance does not interest me any more. As a fan of Harmon Killebrew when I was younger, I am a fan of long homeruns. The two upper deck shots at Metropolitan Stadium on consecutive days (522 feet and 469 feet) were things of beauty. Pffft. Be quicker next time, old man. For some people a long home run by one of our players is a beautiful thing. We all know that a 500 foot bomb counts for only one run, but please also consider that Jennifer Lawrence is only one woman. Long home runs are fun, but meaningless. Remember Byung Ho or Kennys' epic blasts?Where are THEY now?